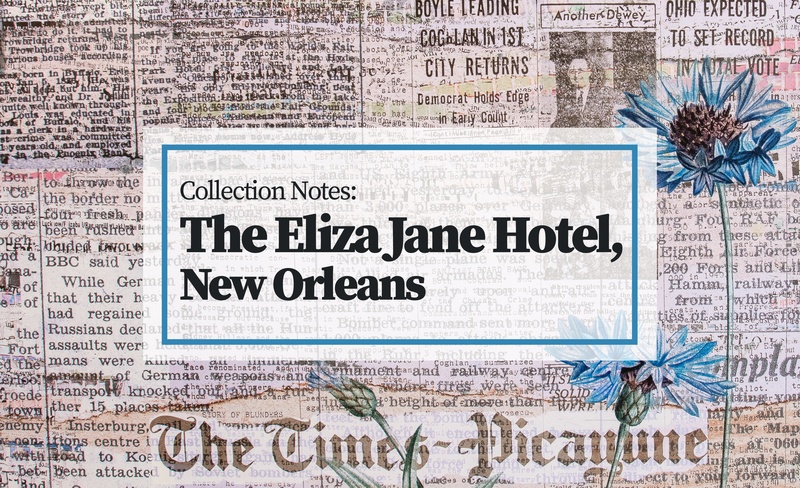 The Eliza Jane Hotel in New Orleans is the latest edition to the Hyatt Unbound Collection. 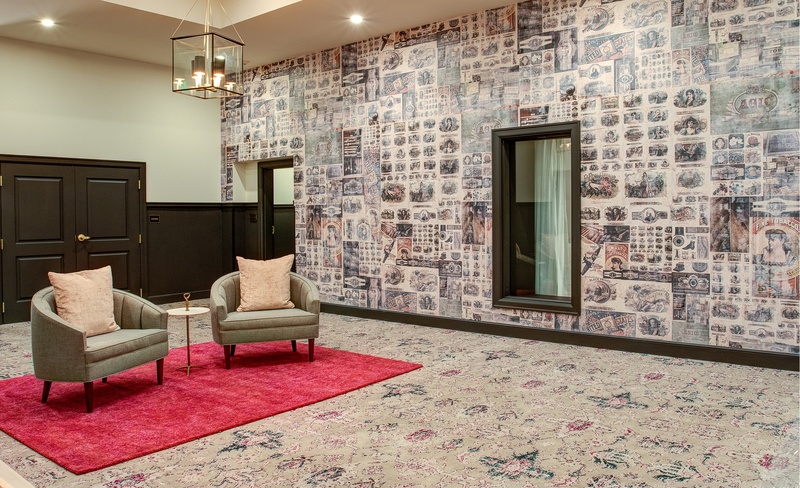 Indiewalls worked with Stonehill & Taylor to create dynamic guest room and corridor artwork packages that link older, historic New Orleans to its contemporary, funkier culture. 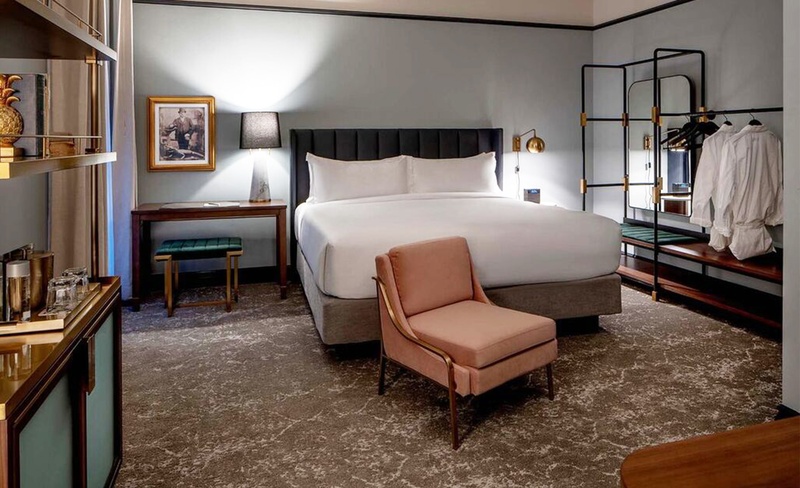 The hotel takes its name from Eliza Jane Nicholson, who was the first female editor of the local Times Picayune newspaper and perfectly exemplifies the feminine, sophisticated aura of the property. 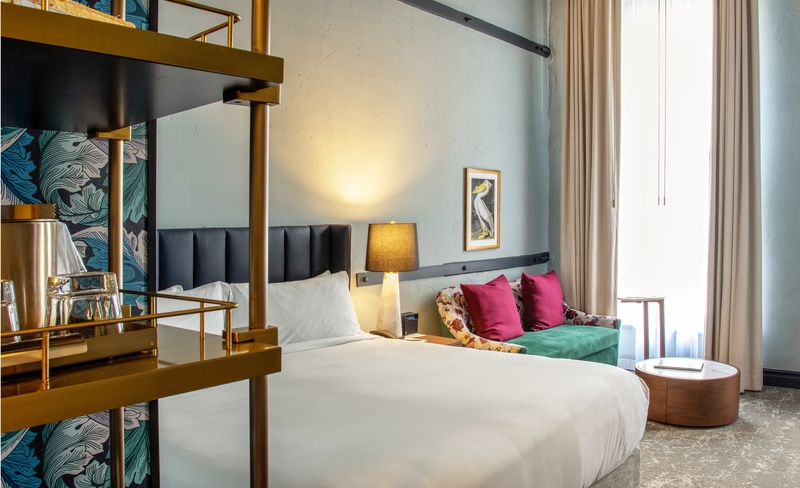 The hotel is housed in 6 connected warehouses along the perimeter of the French Quarter, where the Times-Picayune, Peter’s Cartridges, Peychaud’s Bitters, Joseph’s Tobacco, and an electronics factory once operated. 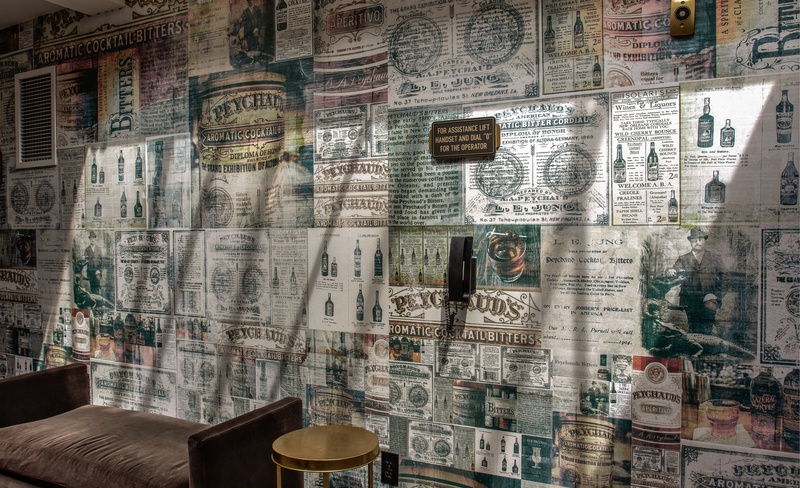 Indiewalls collaborated with talented graphic artist Bill DeWitt to create 5 custom wallcovering patterns dedicated to each of these local industries. 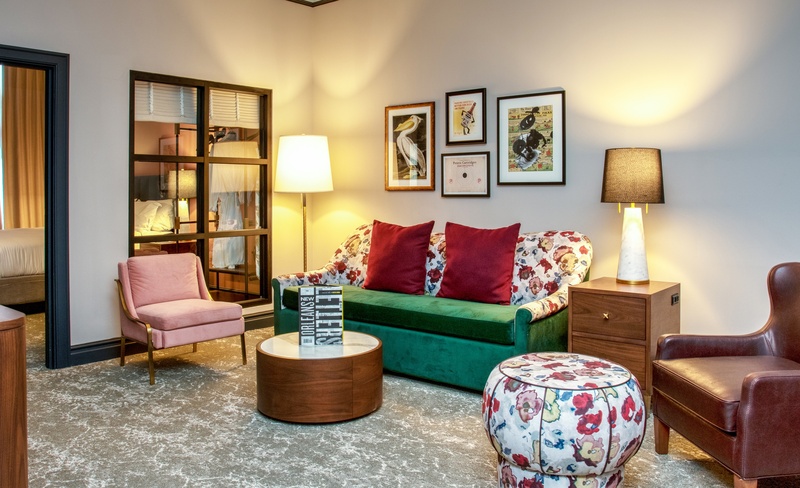 In the guest rooms, Indiewalls artists Regia Marinho, Jennifer Palomaa, and Bill DeWitt contributed 2D artworks which draw heavily from antique ads and newspapers from the building’s previous tenants. 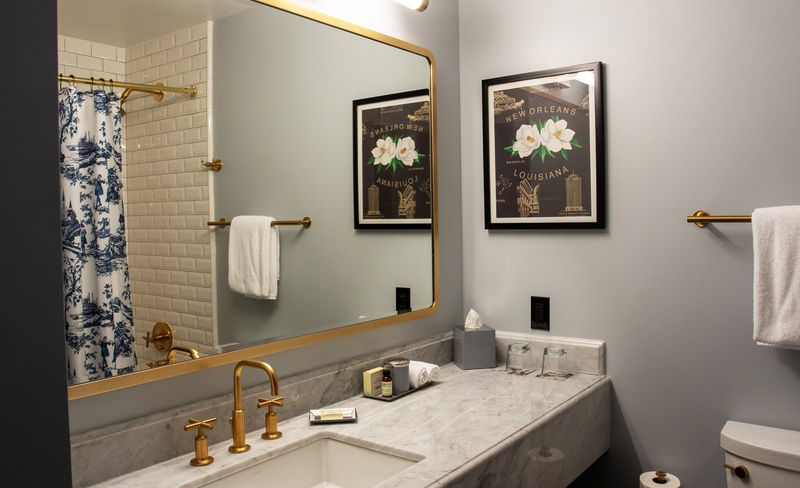 Our scope included 6 custom prints as well as an ornately framed Audubon illustration, contributing to the hotel’s many links between past and modern New Orleans lifestyles. View more shots of the full project in our project Gallery.